For those of us who regularly manage events and trade shows, stress is compounded by the fact that not only are we preparing for an event, but we also have the responsibility of preparing an entire team, as well [Ugh… insert sigh here]. So, not only am I managing my personal packing list, but I’ve got the myriad details of my team to consider. After all, they are counting on ME to be calm, confident, prepared, and leading! Fortunately, much of this tension is unnecessary and can be avoided with a little forethought and planning. Check out the top 12 checklist below to make your life on the road a bit more peaceful as the “crazy” of trade shows gets closer! 2. Before your exhibit properties are shipped out, review your advance shipment one final time to ensure everything was included. Make sure your exhibit company or whoever is getting everything packed up knows you want to review the shipment before it goes out. This insures that the pallets are not already shrink-wrapped and the crates are closed up. You can always overnight last-minute items to your hotel for safe-keeping prior to check-in, but it’s best to have the majority of the shipment finalized, checked, and re-checked. One note of caution, that you when avoidable, try not to ship to the hotel if at all possible because your package has a higher likelihood of being lost. Hotels are just not equipped to receive packages as much as the convention center is. 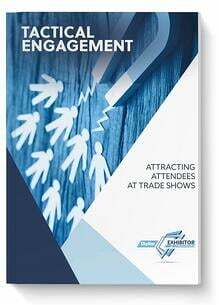 Consolidating with your exhibit materials increases your odds of success and decreases your bill. 3. Identify your crates or cases that need to get opened first, so when you arrive on the show floor, you don’t have go through many crates to find the one thing you are looking for. This sounds trivial, but if you have 32 crates and pallets, it can be a real time saver on installing your products or exhibit. 1. The number one problem that I see on the show floor over the last 25 years has been in audio visual. Before we discuss the physical items you need to be taking with you, let me urge you to “pack” a backup of all of your digital content. Be sure to bring multiple formats of any content you intend to use in any video application. Various file formats and various ratios if you can pull it off… all of these can save you on the show floor. 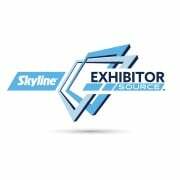 In addition to cloud backup, you need to prepare a hardcopy file of your show contact, your booth setup personnel, and all critical phone and email contacts. While this might seem like overkill, if your phone is lost or stolen during a show when you need it the most, you will be forever grateful you took the time for such a lifesaver. 2. If you have an approval on a variance, make sure to bring the approval with you and make sure you get the cell number of the person who approved your variance. You will need to show this to union steward if you get questioned on what you are doing. A variance is great if you can pull it off and terrible if you plan for it and can not do it because the union stopped you. 3. While traveling, you’ll need a variety of personal supplies: snacks, a book, a travel pillow, luggage tags, a travel iron, tweezers, a needle and thread, a travel iron. You’ll also want to be prepared with a variety of professional supplies: a Leatherman tool, extra zip ties for booth wiring, duct tape, scissors, and a few Ziplock bags always come in handy. To go along with your personal items, bring COMFORTABLE SHOES! Don’t learn this lesson the hard way. Trust me! Pack two pairs of comfortable shoes. You’ll also need clothes for the exhibit floor, clothes for after-hours events and gatherings, sleepwear for the hotel, and traveling clothes. 4. You know to pack your phone, laptop, tablet, portable power bank, and ear buds for your trip, but you should also carry some redundant tech supplies in case of loss or a power failure. A portable WIFI hotspot, an extra USB, a charging station, and extra charging cords are all you need to be prepared and get you through a tech crisis. 5. Pack a first aid kit. While someone will argue that you don’t need to waste space on this because you can find what you need anywhere/anytime, you won’t regret having a Band-Aid and Neosporin within arm’s reach when 5 minutes before the doors open, you slice your finger on a sharp table edge. You need to have the basics on hand. Besides your prescription medications, be sure to pack painkillers, antihistamines, anti-diarrheal, eye drops, and of course, Band-Aids and Neosporin. It’s also a good idea to have some hand sanitizer and breath mints on hand to avoid a meet-and-greet faux pas! For ALL of the above items, make sure you check TSA guidelines to make sure you aren’t detained at security! 1. Double check the TSA guidelines for checked and carry-on baggage. Since TSA sometimes changes its regulations to one degree or another, it’s best to double check the current regulations to make sure you are compliant. You’ll also want to check your airline’s regulations, rules, and fees related to baggage weight, dimensions, and contents. Applying and paying for the TSA Precheck service maybe be a worthwhile investment for frequent travelers who want to save time at check-in and avoid the hassle of removing shoes, belts, etc. at security checkpoints. Also, have your documents handy. Although most travelers take advantage of online check-in and digital boarding passes, it can still be helpful to print out a backup copy of your boarding pass and reservation information. You’ll also need proper ID, which is becoming increasingly important. 2. Make sure you have proper ID. On Oct. 1, 2020, the Transportation Security Administration will begin requiring travelers to have a Real ID-compliant driver’s license or alternate acceptable identification to fly domestically. Travelers won’t be able to pass through security without it. Most state DMVs already issue compliant licenses, while others have been granted an extension to make their internal processes and IDs compliant. There are a number of other forms of currently acceptable ID. You can check the TSA website for those. 3. High value items should be locked up or taken back to your room at the end of each day. I can not tell you the number of our clients that failed to secure their items and they end up stolen from the show floor. Common targets are high end swag, iPads, laptops, phones, anything DeWalt or similar. These are all items that get stolen because the perfect storm occurs at shows. There is a lack of accountability, many distractions, low security and anonymity. Following these tips will ensure that you have a safe, uneventful trip to your destination and a successful, productive show once you arrive!